India Circuit - Leading Single Side PCB, Double Side PCB, Metal Core PCB, Aluminum PCB, LED Street Light PCB, LED Flood Light PCB Manufacturer in India. From PCB Design to PCB Manufacturing. India Circuit Make World Class Product. India Circuit is leading PCB manufacturers in India. The India Circuit PCB manufacturing unit is located at Gandhinagar, Gujarat. The company offers a wide range of PCB design to PCB manufacturing service under the one roof. As PCB manufacturer in India, India Circuit follows international standards for the manufacturing of PCB. India Circuit manufactures the wide range of PCB like Single Sided PCB, Double Sided PCB, Metal Core PCB and Aluminum PCB. We are expert in manufacturing of metal core PCB and aluminum PCB. Which are mostly use in LED street lights, LED flood lights and many lighting products. Our made Metal Core PCB and Aluminum PCB are delivered in every city of Gujarat and we also deliver in the major part of India. For this type of service India Circuit is calculated among leading PCB manufacturers in India. As Leading PCB Manufacturers In India. We develope online PCB Instant Quote. Now you can get instant quote for your order. India Circuit is calculated among leading single sided PCB manufacturer in India. We manufacture wide range of PCBs. Among this, our made single sided PCBs are mainly used in sensors, surveillance devices, analog power supplies circuits, timing circuits and many other applications. We manufacturer single sided PCB board it’s thickness starts from 0.6 to 3.2 mm with copper thickness 17μm, 25μm, 35μm, 70μm. Our manufactured single sided PCB delivers all over India. Our made single sided PCB comes with superior design and low manufacturing cost. If you looking for a perfect PCB manufacturer in India. Then India CIrcuit is always ready to deal with you with perfect products. India Circuit is leading metal core PCB manufacturer in India. 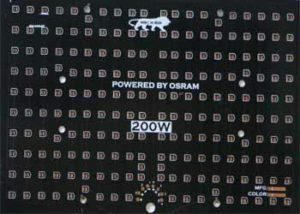 Our made metal core PCB is mainly used in led street light PCB, led flood light PCB and many other LED light products. We manufacture metal core PCB from 0.8 to 1.6 mm thickness. The Copper thickness of this metal core PCB is from 25 μm to 35 μm. We deliver this metal core PCB all over India. In the manufacturing facility, India Circuit has the latest technology and high-end machines. We deliver metal core PCBs in major cities like Ahmedabad, Delhi, Mumbai, Pune, Hyderabad, Banglore and many more. India Circuit Is Leading Aluminum PCB Manufacturer In India. We specially manufacture aluminum PCB for Led Lights. Which are widely used in LED Street Lights, LED Flood Lights and Many other LED Lights Products. We manufacture aluminum PCB from 0.8 to 1.6 mm thickness. The Copper thickness of this aluminum PCB is from 25 μm to 35 μm. We deliver this aluminum PCB all over in India and also manufactures aluminum PCB as per client needs and specifications. We deliver aluminum PCB all over India in this some of the major cities like Ahmedabad, Delhi, Mumbai, Pune, Hyderabad, Kolkata, Banglore and many more. As Leading PCB Manufacturers In India. We commitment to customer satisfaction be our slogan. With dedication to serve best part of services, serve the best roll with proper knowledge of PCB with well managed as well as team of skilled persons continues performance in various process from CAD and CAM to various processes of PCB up to packing. India Circuit is committed to achieve best goal to obtain highest level of customer satisfaction. We are calculated in leading PCB manufacturers in India. India Circuit Goal is to provide you the best handyman service. We offering 24X7 service to full-fill our clients need and for fast service availability. Our vision is that our customers get World Class PCB at affordable price. We assure that our offered products are in sync with international quality standards.